Combine ingredients in a mixing tin, add ice, shake, and strain over crushed ice in a tiki mug if you’ve got it. 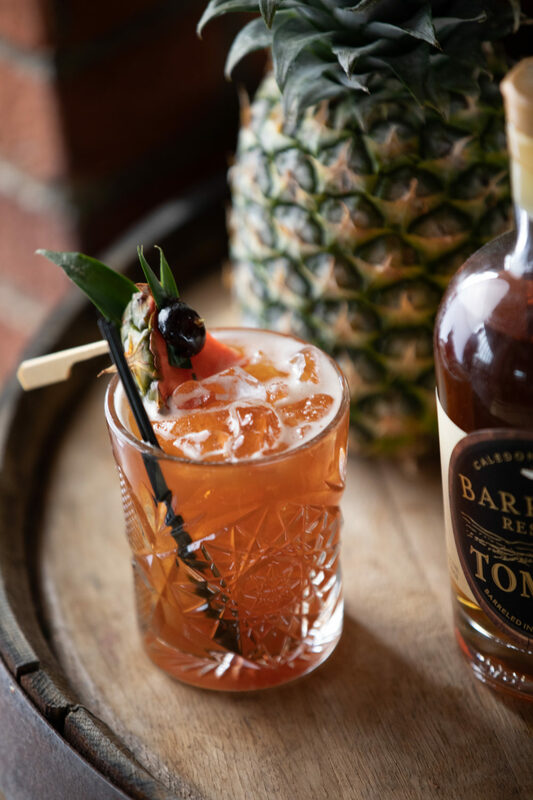 Go crazy with the garnish, a Campari soaked pineapple works well, and using cherries or pineapple leaves is fun. Try and make it look like a cats face!